Speaking ability is a matter which needs much effort. No matter how great an idea is, if it is not communicated properly, it cannot be effective. Through speaking, students learn concepts, develop vocabulary, and perceive the structure of the English language essential components of learning. To speak English well and casual, the students obviously have to try to speak it in the way the native speakers do. In order to be able to speak English better, it is important to learn all of skills in English and matter English phonetic as well, because it is very helpful to learn the language quickly and successfully. In this case, the writer will discuss some aspects which support the speaking ability. They are the definition of speaking, the function of speaking, the purpose of speaking, the kind of speaking activities, the process of speaking, the components of speaking, the characteristic of successful speaking activities, the speaking rules, the problems in speaking, the solution of speaking problems, the activities to promote speaking, and factor affecting students’ speaking ability. In this blog, the writer provides some meaning of speaking stated by several resourses. They are by the writer before, those are Ikawati (2012), Cornbleet and Carter, Webster, Oxforrd Dictionary, Taringan, and Don Bryne. Ikawati state that speaking is natural way to communicate. Without speaking, people must remain in most total isolation from any kind of society. For most people, the ability to speak a language is the same with knowing a language since the speech is the most basic means of human communication while Corbleet and Carter (2001) defines that speaking is significant to an individual’s living processes and experiences as are the ability of seeing and walking. Someone who wants to get a good job must be able to speak English well, because now English is properly to complete their competence in the society. 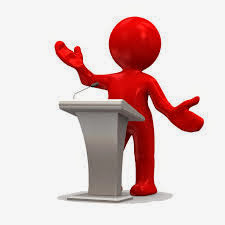 According to Webster (1980) state that speaking has a variety of meanings: there are such as: to tell, to say, to make known or as by speaking; to declare; to announce; to proclaim; to celebrate; to use or be able to use (a given language) in speaking; and to address. In addition, Oxford Dictionary (1987) state that speaking is to make use of language in an ordinary, not singing, to state view, wishes etc or an act of spokesman. Meanwhile, Taringa (1981) defines that speaking is a skill of conveying words or sounds of articulation to express or to deliver ideas, opinion, or feeling. The last is from Don Bryne (1998) states that oral communication or speaking is a two way process between speaker and listener and involves the productive skill of speaking and receptive skill of understanding. It is mean that speaking is the process of sharing with another person with knowledge, interests, attitudes, opinions, or ideas. Delivery of ideas, opinion, or feeling is some important aspects of the process of speaking which a speakers’ idea become real to them and listeners.